Next time you’re choosing a bar of chocolate, you might like to consider how you’d feel about the chocolate if you knew a 10-year-old boy in Africa had been beaten for it. In 2001 news began filtering out of Africa that thousands of children were being used and abused on cocoa farms on the Ivory Coast. Not only that but many of these children had been sold into slavery by their poverty-stricken parents, for as little as £15. In 2002 leading chocolate manufacturers from around the world signed a pact promising to work to end child trafficking and abuse in the cocoa industry. In 2008 a report into the success of the initiative concluded that there was no evidence to suggest that the slavery and abuse had ceased or even that there had been any improvement at all. For chocolate lovers, these have to be shocking facts, and we have to ask: why does the cocoa industry need to use child labour? Cocoa farmers are amongst the poorest people in the world, often earning less than 50p per day. As the price for cocoa on the world market goes up and down, the farmer may be paid less than it has cost him to grow and harvest the cocoa beans. For that reason – a simple need to survive - they may employ children, forcing them to work for long hours in terrific heat, using dangerous tools and at risk of poisoning from the pesticides used. If the children try to escape they may be beaten. ‘Luxuries’ like clean water, medical supplies and even wellies to protect young feet from the snakes that live amongst the cocoa trees are way out of reach for most farmers dependent on international corporations for their livelihood. And our most familiar chocolate brand names are amongst those corporations. The Fairtrade Foundation was set up help alleviate poverty and develop sustainable working conditions. It works to help disadvantaged farmers in developing countries get a fair deal. It does this by ensuring a minimum fair price for the product, a price that doesn’t go up and down but is set and agreed upon. So if the world market price falls below the minimum the farmer will still get the minimum; if the world market price is higher than the minimum then the farmer gets the higher price. The buyers also enter into long-term agreements with the farmers helping them plan and build for the future. And in addition to this, a Fairtrade premium is paid for social or environmental projects – such as a well to provide clean water or a school for the plantation workers’ children. Products that are certified Fairtrade i.e. that have passed strict tests, carry the Fairtrade mark. Some products will claim to be fairly traded but unless they carry the mark you can’t be absolutely certain they meet all the criteria. It might mean paying a little more for our chocolate. It might mean changing – and giving up – our favourite brands, at least until the bigger companies can guarantee that no child labour is used and that they’re dealing fairly with the farmers, but that is little compared to £15 for a child. And there are plenty of alternatives. The Divine brand of chocolate and Dubba bars are easily available from most large supermarkets. The Co-op, in a pioneer move, only uses fairly traded cocoa beans in all its chocolate production. Many other brands carry the Fairtrade mark on some of their products e.g. in 1994 the first UK product to be awarded the Fairtrade mark was Green and Black’s Maya Gold chocolate. 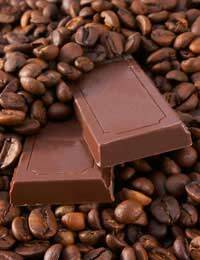 And there are many more producers of high quality Fairtrade dark, milk and organic chocolate. Just study the labels in your local supermarket: the mark is easily identifiable. And if you can’t find any Fairtrade chocolate in your supermarket or local shop, ask the manager to stock it! Many of the Fairtrade producers work together in co-operatives; if they can do it and change things, so can we!